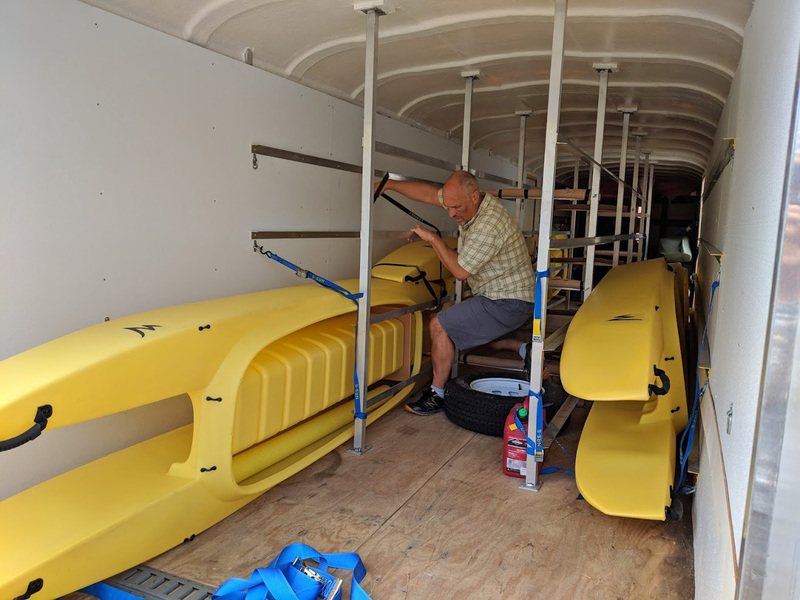 Rowing shells are among the fastest human powered boats, and there are some two hundred US colleges that have rowing teams. 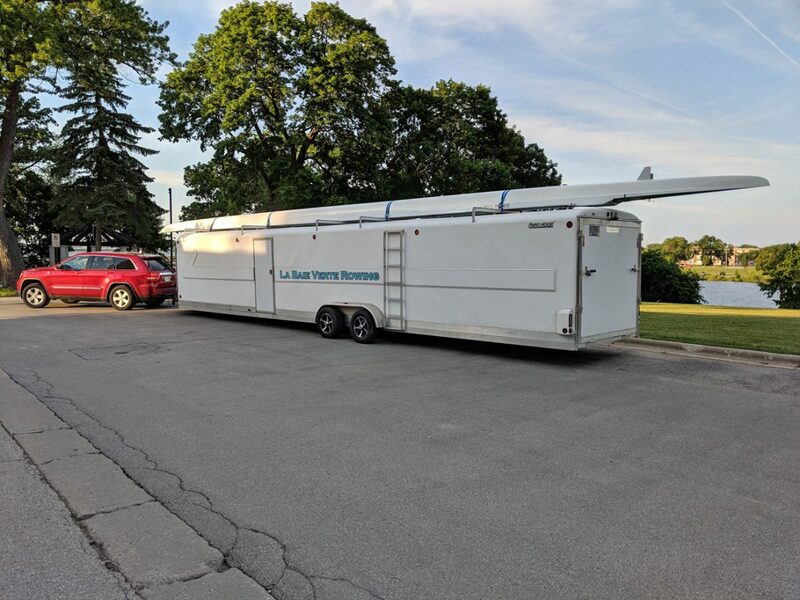 When racing, a large men’s 8 rowing shell can go about 13.8 mph. This is Olympians. Normal club rowing is about 11.5 mph. 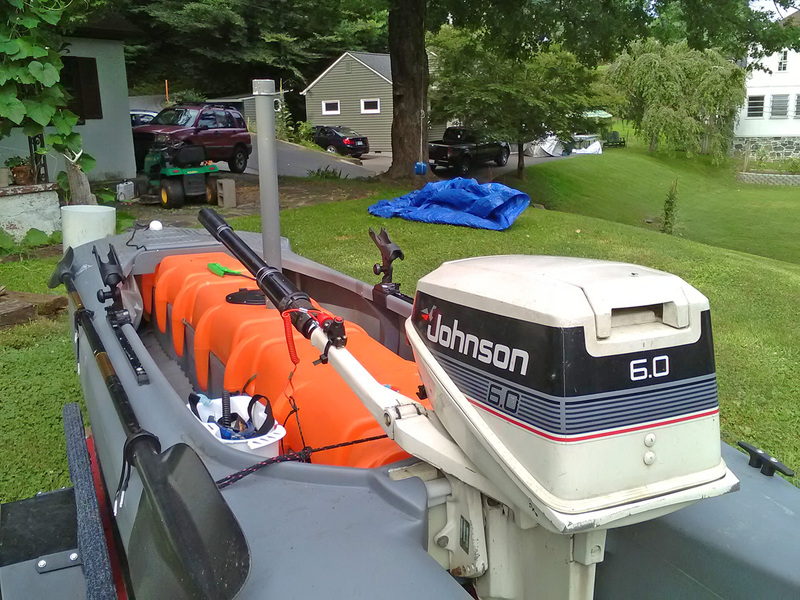 Coaching launch: The S4 model coupled with an 8 HP outboard motor is perfect for this application, which requires a boat that produces a minimal wake. The S4 is being used as a coaches launch for training and also an officials “chase boat” for regatta racing. 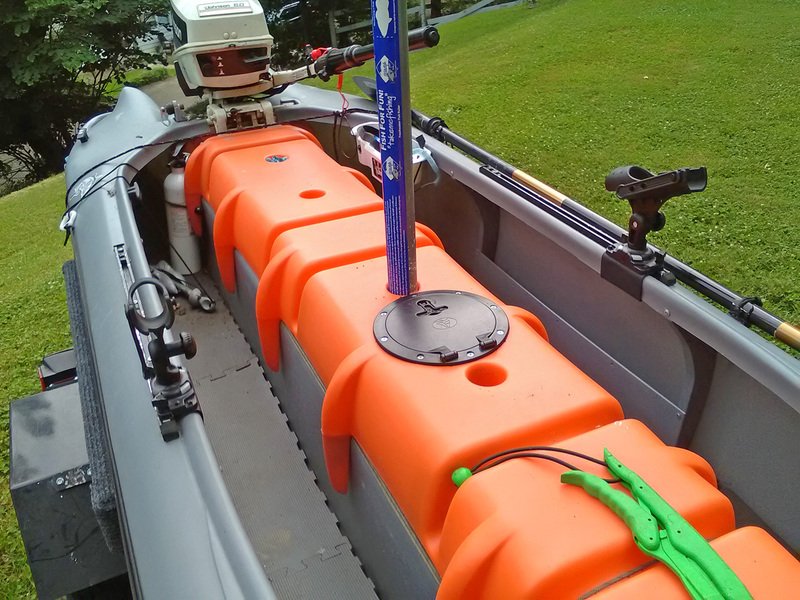 There was a lot of experimenting with motors in a number of water conditions but we have settled on the need for an 8hp motor. Regatta Start: During racing there are usually 6 platforms that are anchored at the start and a person on these hold and adjust the racing boats prior to the start. The Wavewalk 500 R is a great option for these. 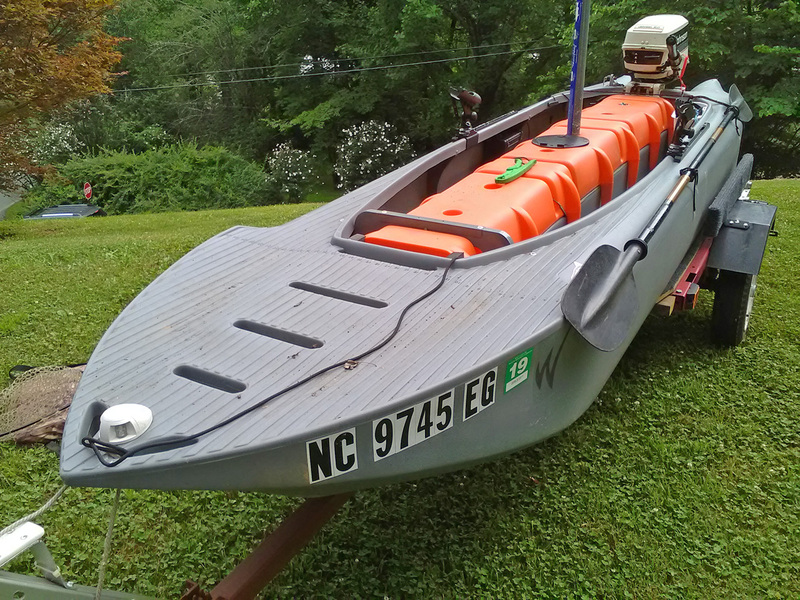 Each regatta needs 6-8 of these boats. The 500R’s are being used as stationary platforms for racing. An unconventional use undoubtedly. 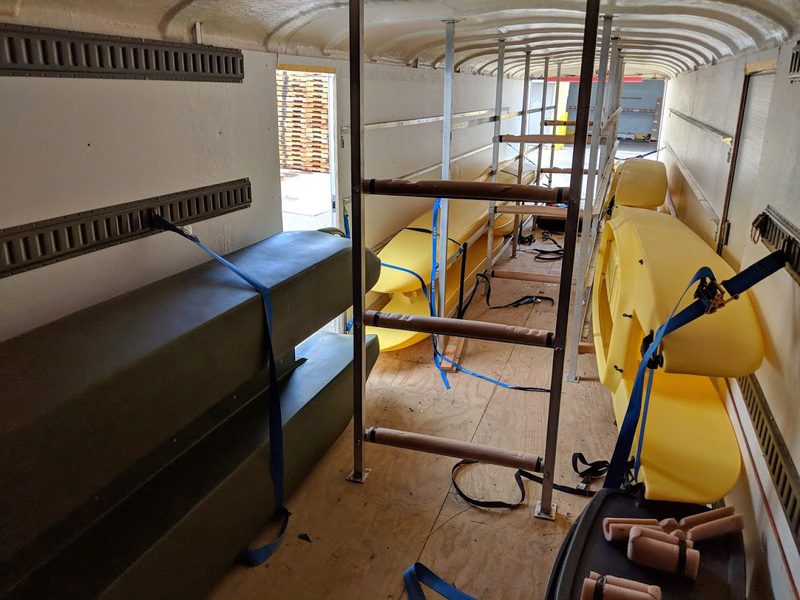 The key item here is that a person sits in each boat and then for each race the crew that is assigned the lane backs into the 500R and the person uses the split between the pontoons to align the bows of each boat to the starting line. 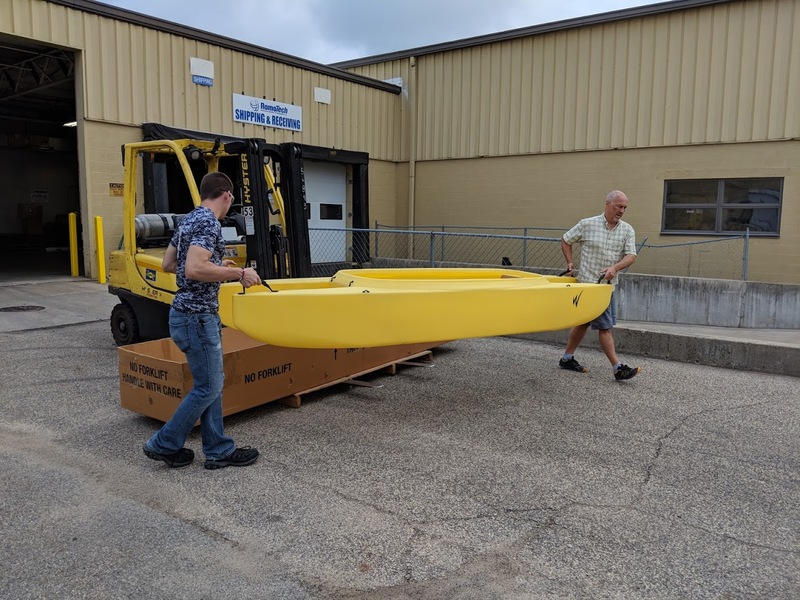 As each racing boat may be a different length there is an official that uses radios and will tell each of the 6 500Rs to move their boat in or out until perfect alignment is achieved. Then the race may begin. This is repeated for each race on between 3 and 10 minute centers. 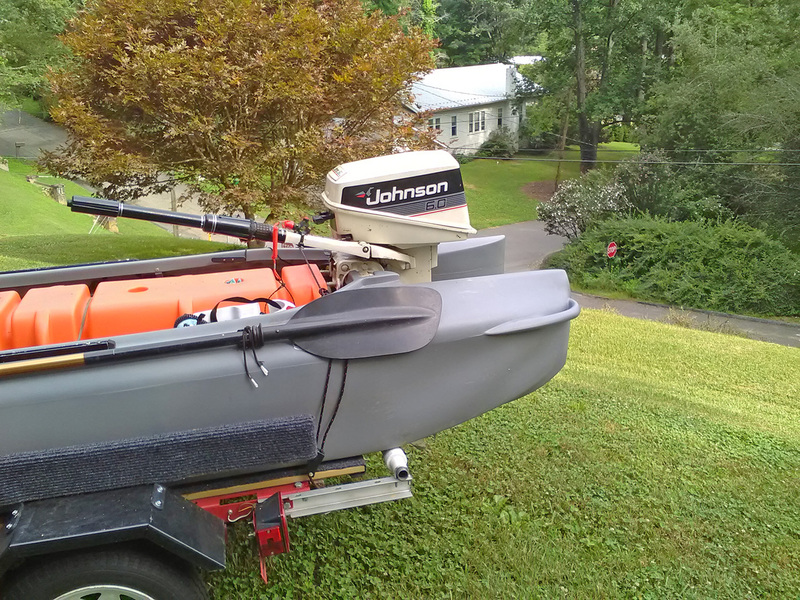 It is a unique use of the W500 R but it’s working. 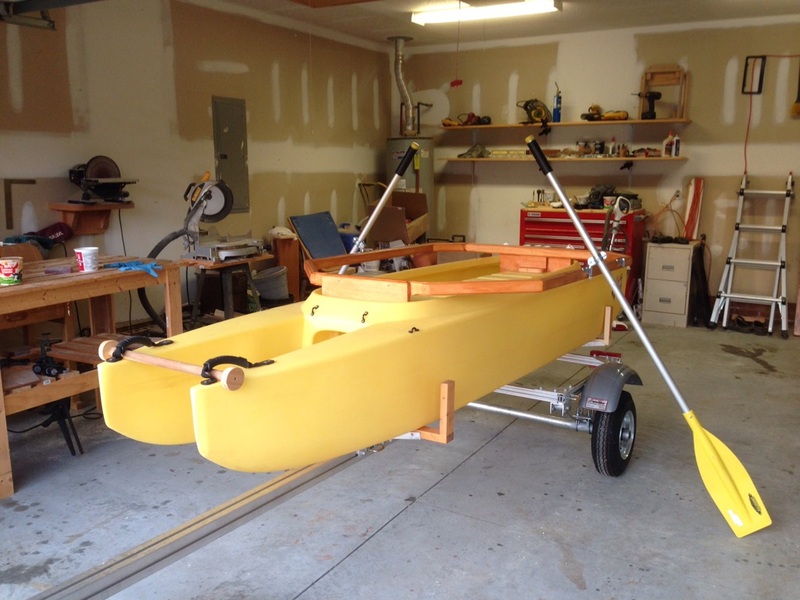 I found certain issues with my first rowing saddle concept, and I build a new style which allows me to install oarlocks to be more accurately positioned. The basic design is a frame that extends the length of the cockpit and anchored in the two end slots of the tunnel. 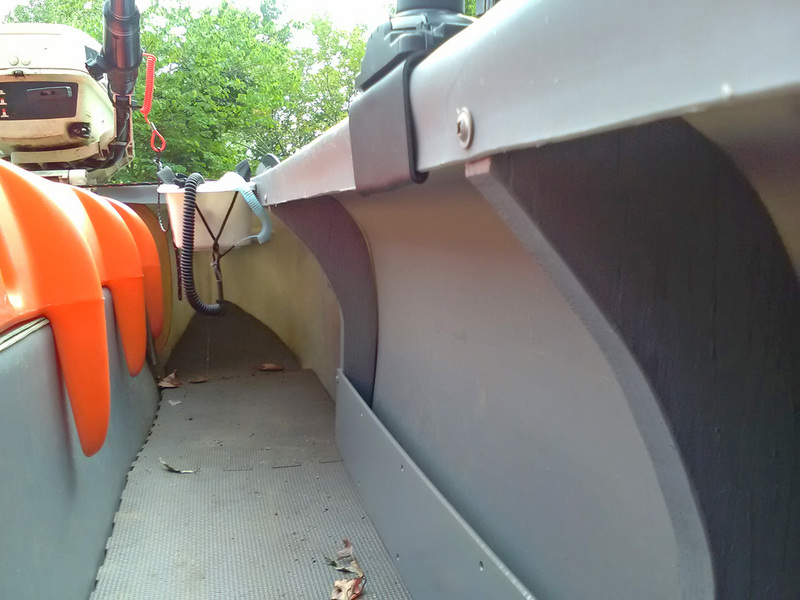 My seat separates and I’m able to accurately position two sets of oarlocks for the different seat positions for pushing or pulling the oars. 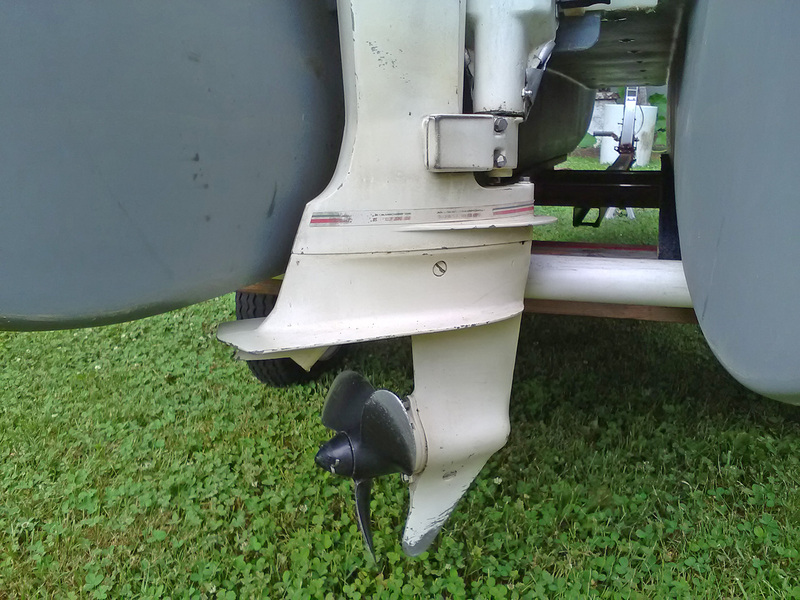 The other asset of this design is that there is no beam directly across the oarlock thus allowing to lift the oars higher in rough water. 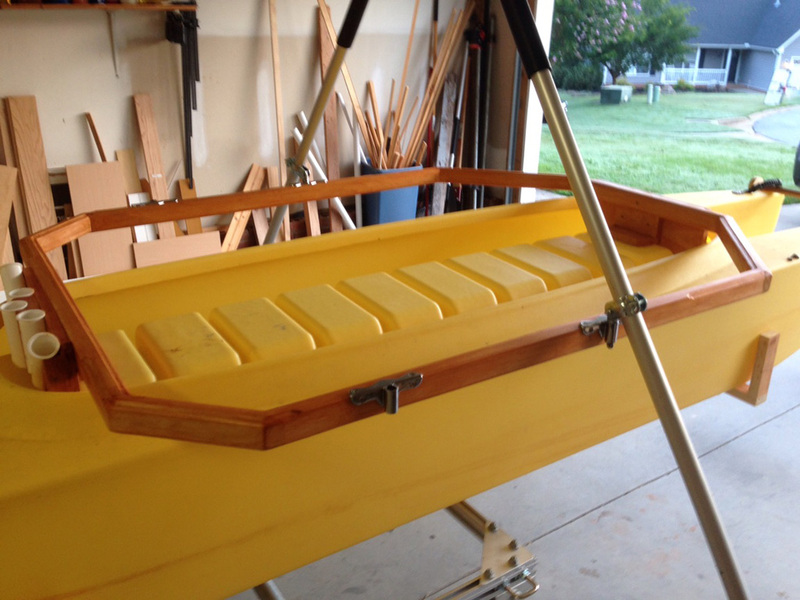 This design required that I replace the plywood insert [saddle bracket] with one that is a little higher to attach the frame at one end, and an identical one at the opposite end. This design also allows me to do some experimentation with the seat position and height. 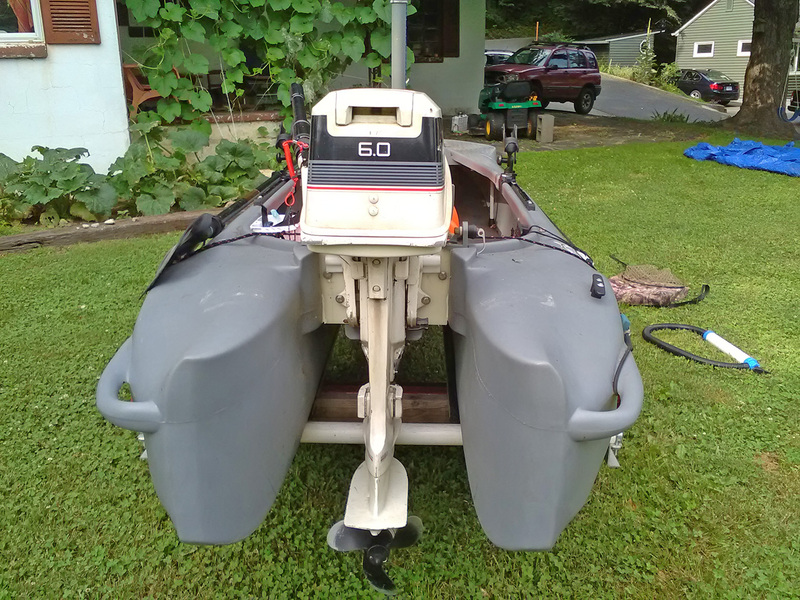 Boat is now on a trailer. Only a 12 minute drive to the lake. If I decide to go only takes me 13 minutes to load and be there now. 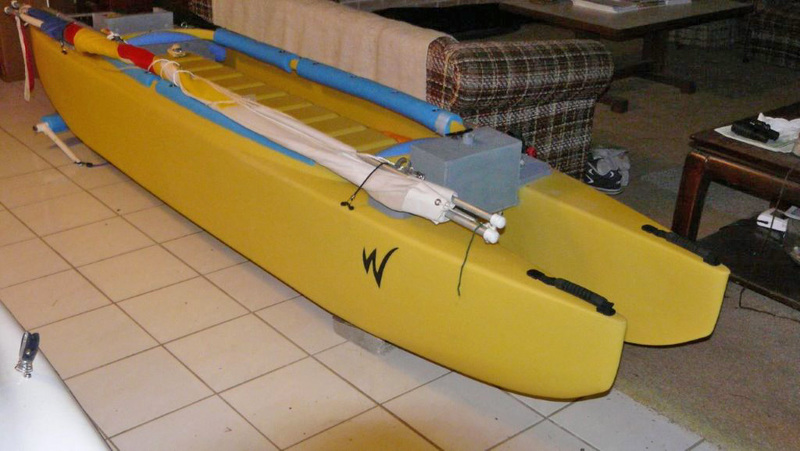 I am prevented from paddling due to a problem with my thumbs, so I outfitted my W500 with this rowing rig, and I use it to move around wherever I want. 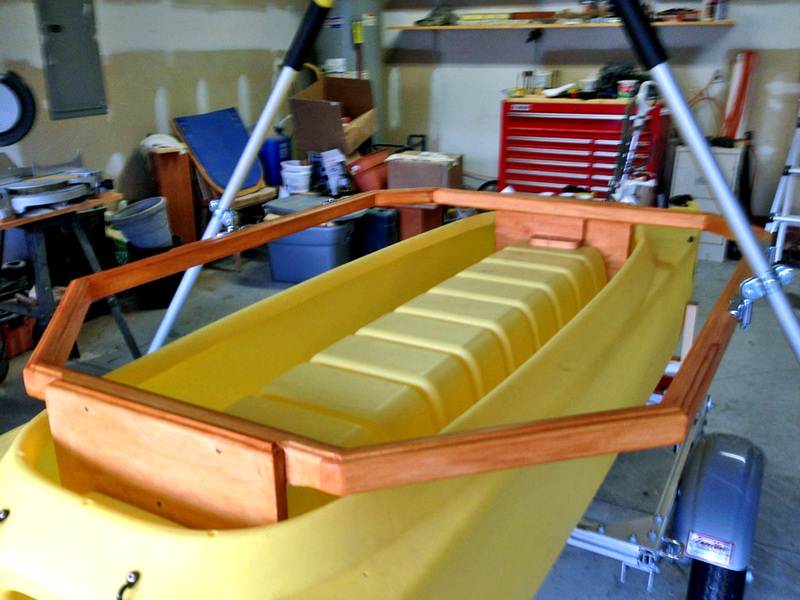 I used saddle brackets as a base for the seat and the rowing rig. 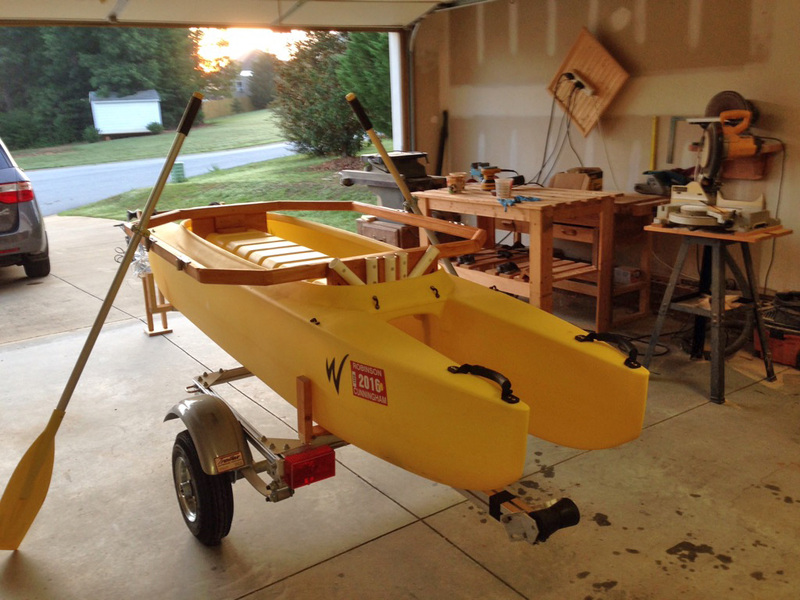 It rows really well, and I’m going out rowing a lot, 2 to 3 times a week. I can row for two hours without any problem. 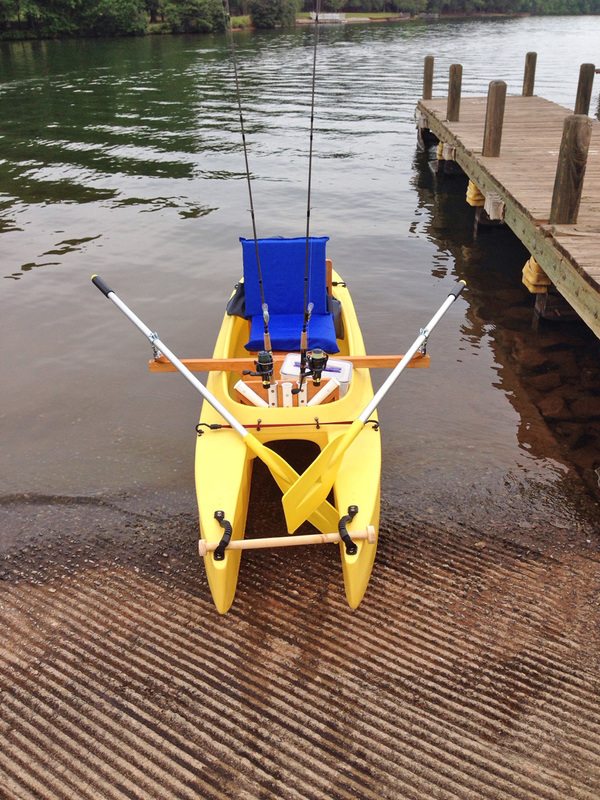 I use this kayak for trolling, and it’s easy to catch fish with this setup. 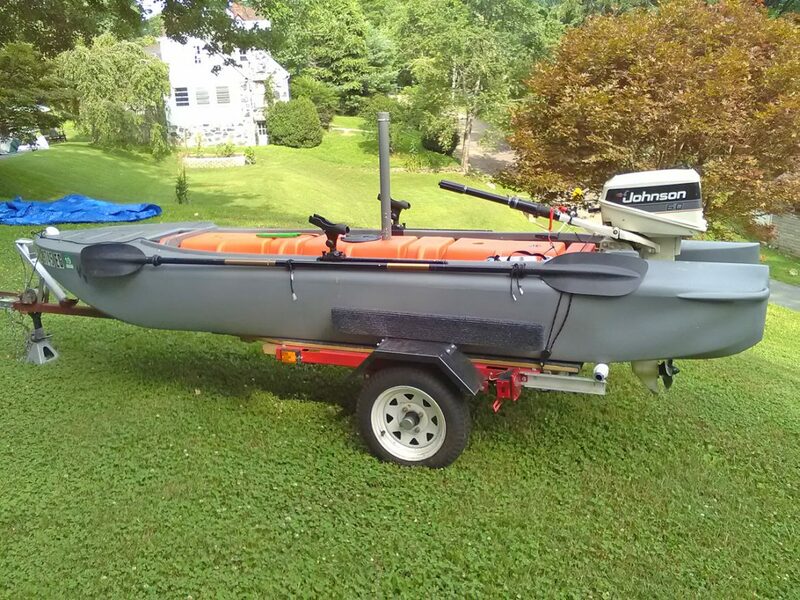 My only complaint about this kayak is that it rows too easily… I’m thinking about getting a bigger boat so I could take another person with me.